At this time of year we are in “pico de cosecha” in Costa Rica. Farm-workers pick up the coffee cherries at its best in dark-red color. This is POAS coffee from de Vargas Family, our Roblesabana Poas Fully Washed. This single origin, specialty coffee that we personally select grows on the foothhills of the Poas volcano, Costa Rica, in La Hilda Farm, property of the Vargas Family. The farm has a Rainforest Alliance certification, guarantee of environmentally and socially responsible practices. This boutique coffee has an elegant dark chocolate aftertaste with a soft acidity. It is artisan roasted at origin to its own specific profile that goes from medium to dark, to enhance its balanced flavor. Also called wet process, fully washed means that once the cherry is harvested, it is washed with water in order to remove the skin of the fruit, followed by a fermentation wash to get rid of all the mucilage before it is dried. 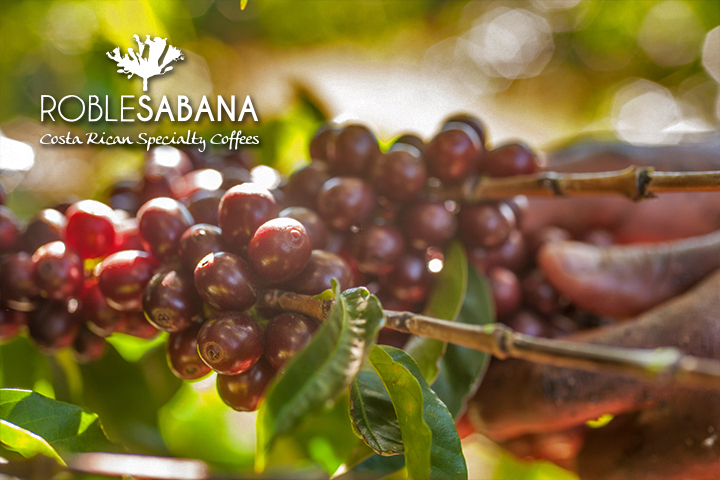 Roblesabana are Costa Rican specialty coffees, fair and direct traded by women. We are proud to offer you only the best coffee, from the hands of our people directly to your hands. Learn more about our coffees at our online store.